Variety of Tallulah’s paint application. 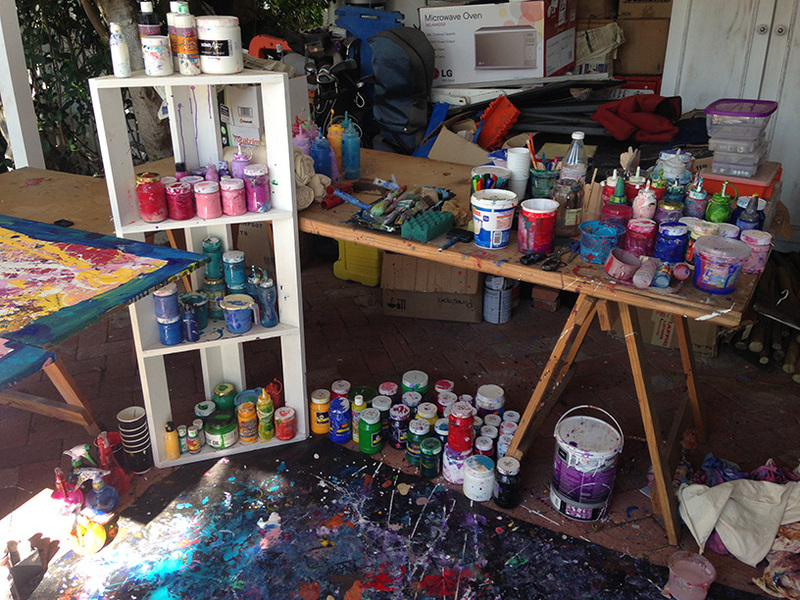 Set up a space to paint. 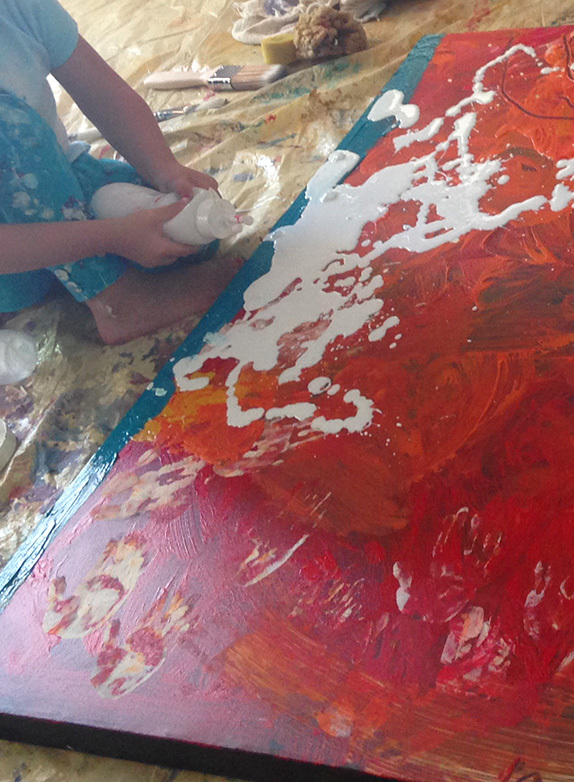 Here we observing and documenting creative process of Tallulah Jade Rainbow, who is painting large abstracts since the age of 1, and explaining the process of free expression and fearless art. 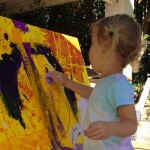 Give your baby large canvas and acrylic paints, let’s start this journey together. 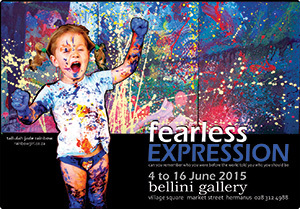 Tallulah’s first exhibition “Fearless Expression” is running on the 4th to 16th June 2015 in Bellini Gallery, Hermanus, South Africa, with 23 artworks (30 canvases) presented. 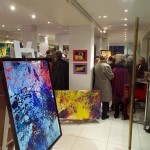 The artworks have a silent bidding system on, the proceeds will partly cover exhibition and art materials costs, partly go for a charity project “Sparkle Kids” to create the same opportunity for underprivileged children, and partly towards Tallulah’s future education and art. Many parents would think that the trouble and expense will not worth the results, but it will. 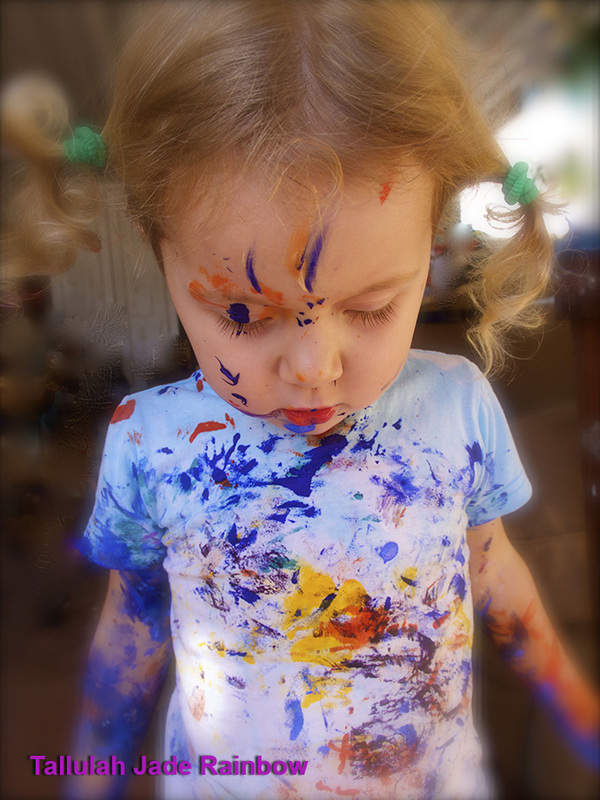 Exposure from early age to saturated colors, paint, brush and canvas texture, and fearless, fully permissible art expression, will give a jump start to dormant creative and innovative areas of a child brain, than may remain unawaken or underdeveloped otherwise. We all know that most important formative years are first 5, when language, personality and many more traits set in. Why not activate creativity in its full blast right from the beginning? You will be raising an innovative thinker of the future who will help to resolve global issues of the world. 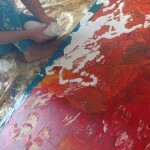 Why 1 years old children art has qualities not achievable by adults? They are not afraid to make a mistake or to spoil a result. They are not attached to outcome. Their expression of the heart is momentous, fearless, spontaneous, expressive, true to the core. They go for it. No regrets, no thinking, no hesitation. Pure joy, pure fun, pure undiluted creative energy, will I be wrong to say – pure projection of God? 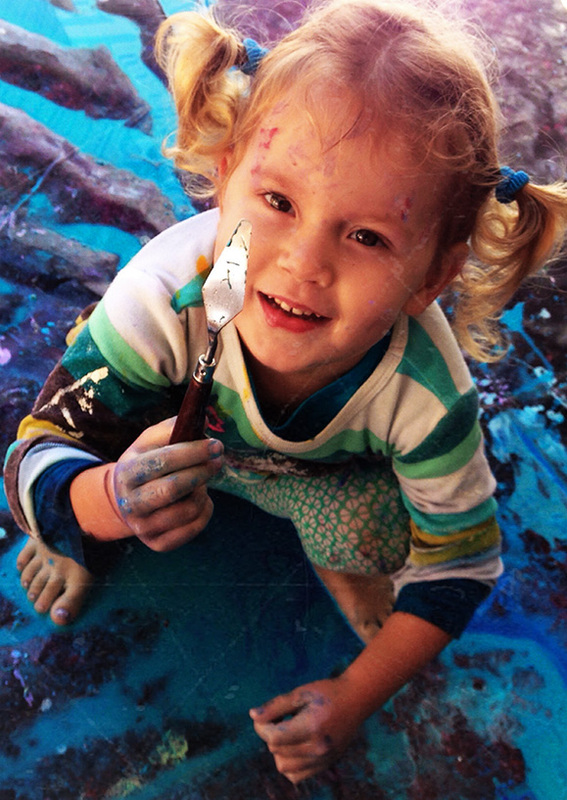 We believe that every child is capable of achieving amazing results in expressive abstract art, given the same circumstances from early age. Results will vary of course, due to differences in temperaments, quality of art materials, background of parents, genetics, health factors, climate, etc., but nevertheless it will vary from amazingly expressive to incredibly outstanding/ borderline genius. However it’s not result that should be given attention to, but the process, the fact that you expose your baby to a fearless, expressive, fully permissible art from as early age as 1. It's not the child's natural inclinations, but the parents' fears that may stop the process.